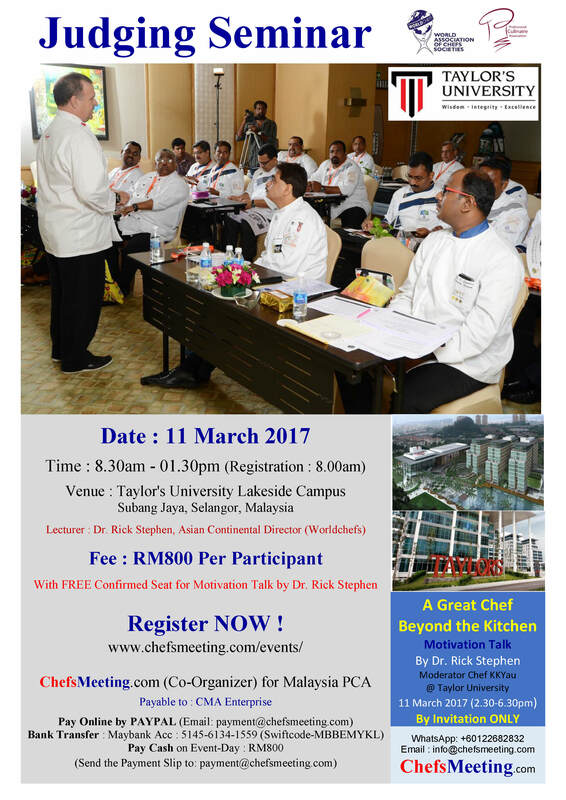 The Professional Culinaire Association Malaysia is organising a Culinary Arts and Hot Kitchen seminar in Kuala Lumpur, Malaysia on the 11th of March 2017. The instructor for the seminar will be Rick Stephen. 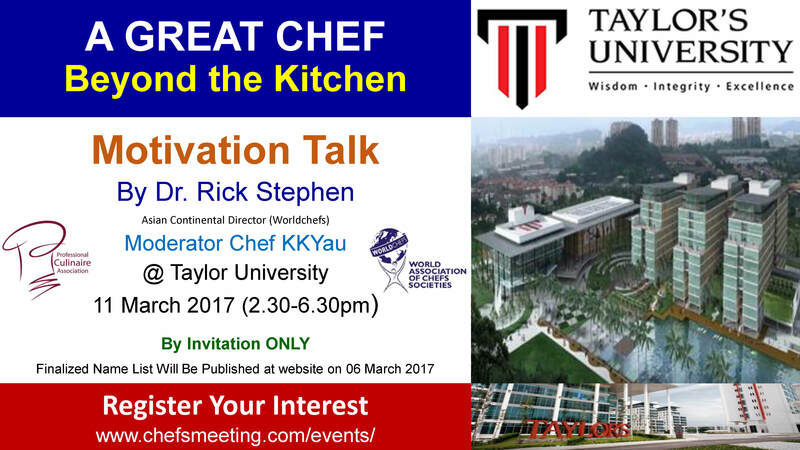 To participate please contact by email KK Yau.